The resources in Mapping Movies can be used in many ways to support research and discovery activities that build community and preserve cultural heritage. 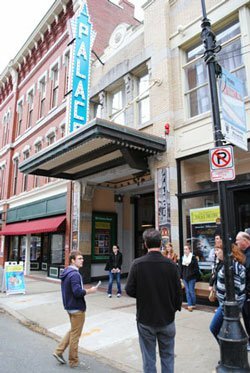 Here at the University of New Hampshire, film history students use Mapping Movies as a platform for experiential learning that integrates their education within the surrounding environment of our urban campus in Manchester, NH. 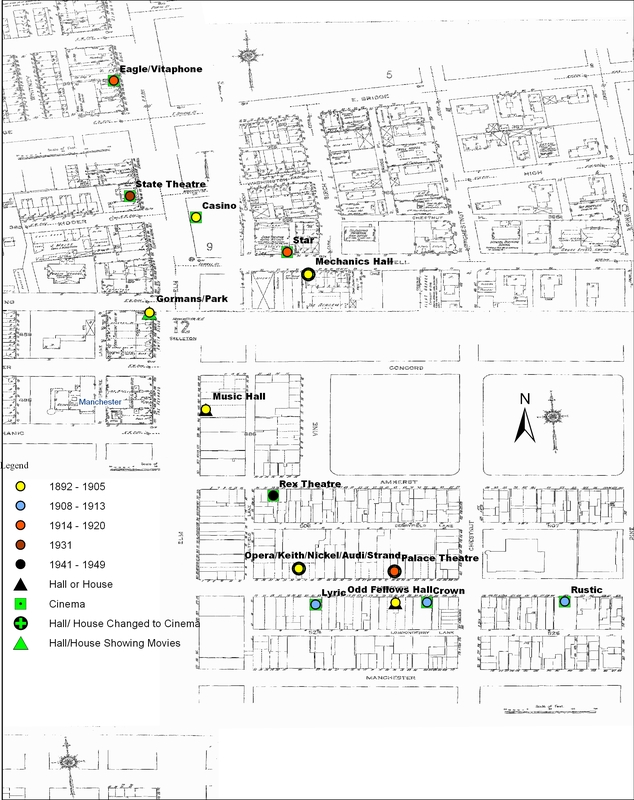 For example, students use the geographical and cultural data in Mapping Movies and their own additional primary research to develop, promote and deliver a guided walking tour that breathes life into the “lost cinemas” that once defined the landscape of downtown Manchester. To learn more about the walking tour project, you can read about the students’ work, and view a short video describing their experience. Educators interested in learning more about the assignment can contact me directly for more information.